Media, in the form of cinema and theater is the mirror to the society. Bollywood films have often kept that in mind and have worked to highlight contemporary issues of social relevance. The next-in-line of such initiatives by Bollywood is the scheduled release of the Film – Toilet: Ek Prem Katha! Toilet: Ek Prem Katha aims to tackle one of India’s biggest development challenges with the help of one of Bollywood’s most bankable stars – Akshay Kumar. A supporter of the Sustainable Development Goals (SDGs), Akshay Kumar has also been a vocal champion of modernisation and equality in India, and has built toilets in rural areas in support of the film’s message. The Film creates awareness and education about the link between the issues, and in doing so helps to further education about the Sustainable Development Goals. Through making audiences aware of the need to tackle sanitary conditions in India, the film brings Goal 6: Ensuring access to water and sanitation for all, and Goal 5: Achieving gender equality and empower all women and girls, one step closer to fruition. Toilet: Ek Prem Katha draws its premise from Prime Minister Narendra Modi’s Swachh Bharat Abhiyan initiative to improve sanitation across India and the very real problem of open defecation which India wishes to end by 2019. 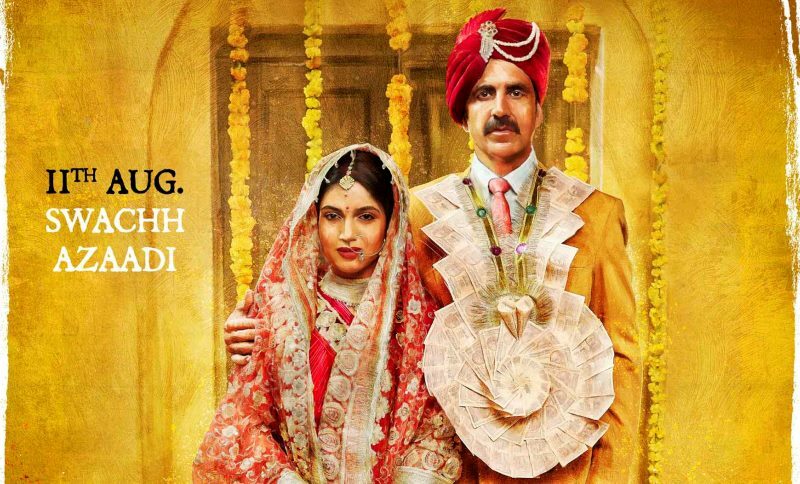 The film follows Keshav (Akshay Kumar) and Jaya (Bhumi Pednekar), whose new marriage is challenged by lack of a toilet. One couple’s struggle quickly becomes a struggle for social change as they campaign for functioning toilets for the local community. The film is set to make a large impact in India, with the trailer for the film receiving over 25 million viewers in just two days of its release online, drawing praise for bringing attention to the issues at hand, including from Prime Minister Narendra Modi himself. Now here’s a film that every Indian must watch!